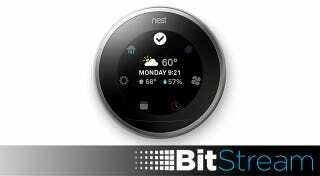 It’s been quite the four-year journey for Nest Labs, launching two big smart home gadgets and eventually drawing the eye of Google in January of 2014—and it all started with the Nest Learning Thermostat. Today, Nest Labs, now under the Alphabet umbrella, is announcing the 3rd generation of the thermostat that started it all. Before, Nest’s small profile and lower resolution meant you needed to be about three feet away to see what was on the screen. Now, Nest promises “across the room” viewing, so you don’t have to squint to see what your thermostat is up to. “Furnace Heads Up” is another new feature that will run a kind of diagnostic on your heating system twice a year to make sure it’s running properly. This will also make its way to the first and second generation thermostats. That’s about it. Maybe the most exciting news out of all of this is that the second generation thermostat will drop 50 bucks to $200 (while supplies last) and the new one adopts the old $250 price. If you want to get started on a smart home, now might be the time.